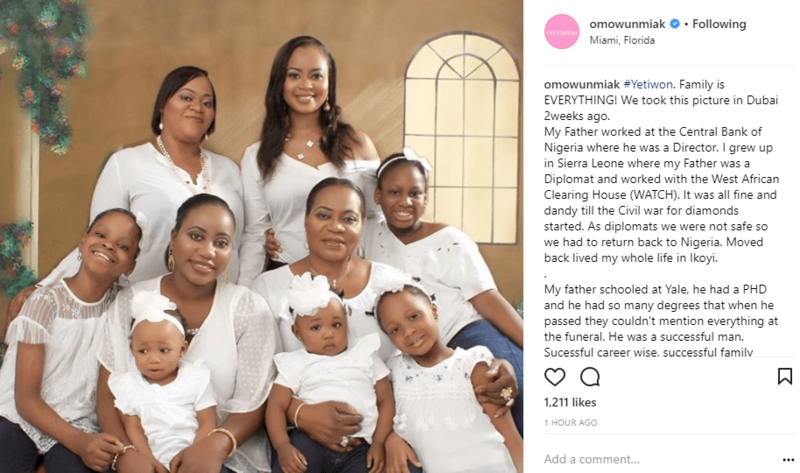 Former Most Beautiful Girl in Nigeria, Omowunmi Akinnifesi has celebrated her father who played an important role in her life even to the point of death. She narrated how her father who was a former CBN director accomplished so much in life to the point that his achievements were not totally reeled out during his burial cos they were just too numerous. ”#Yetiwon. Family is EVERYTHING! We took this picture in Dubai 2weeks ago. My Father worked at the Central Bank of Nigeria where he was a Director. I grew up in Sierra Leone where my Father was a Diplomat and worked with the West African Clearing House (WATCH). It was all fine and dandy till the Civil war for diamonds started. As diplomats we were not safe so we had to return back to Nigeria. Moved back lived my whole life in Ikoyi. My father schooled at Yale, he had a PHD and he had so many degrees that when he passed they couldn’t mention everything at the funeral. He was a successful man. Sucessful career wise, successful family wise. How one man can develop such a generation is outstanding. 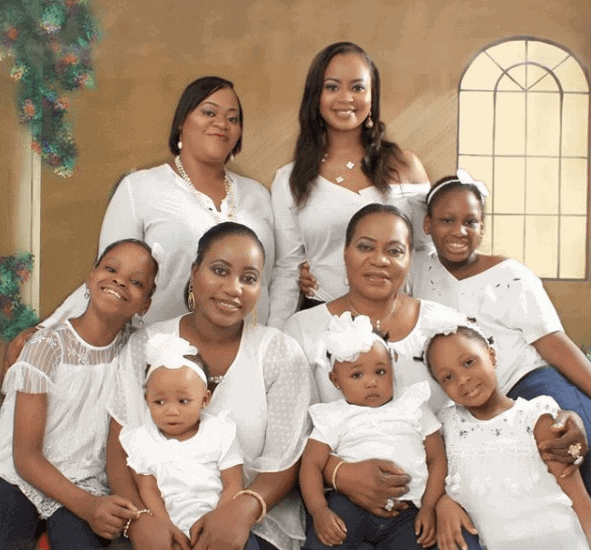 These are the women of the Akinnifesi generation. My Mum, My sisters and their kids. The Men are not in this pic tho. My two brothers and my sister’s husbands. Most importantly my Dad, who passed 4 years ago.